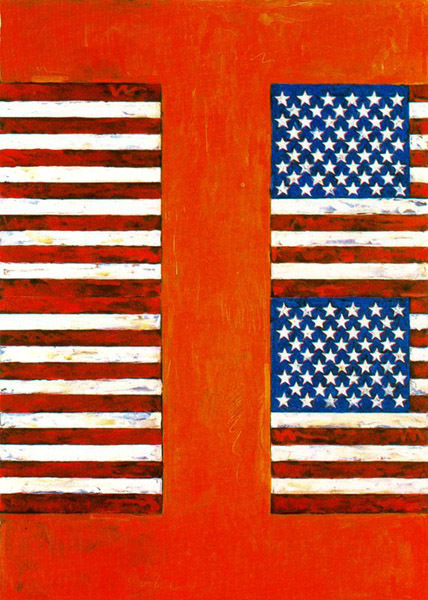 born May 15, 1930, Augusta, Ga., U.S.
American painter and graphic artist who is generally associated with the Pop art movement. 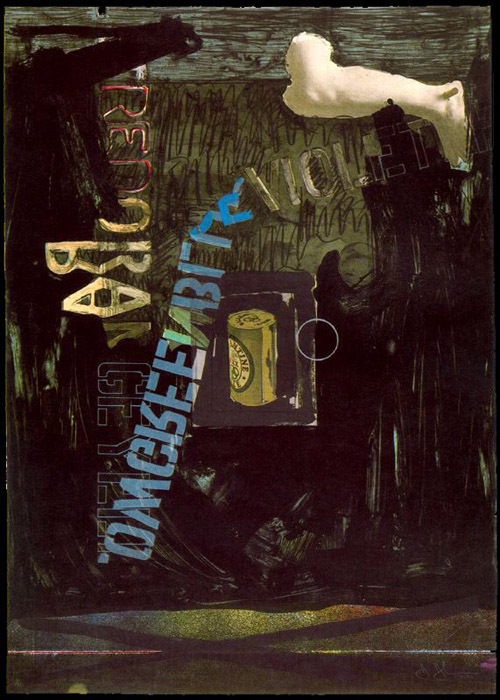 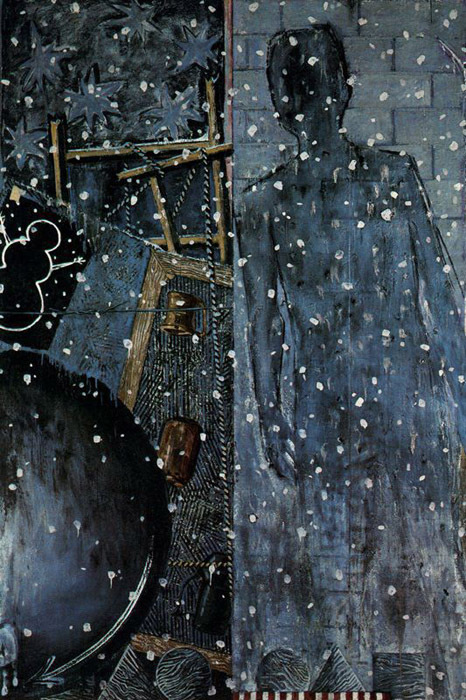 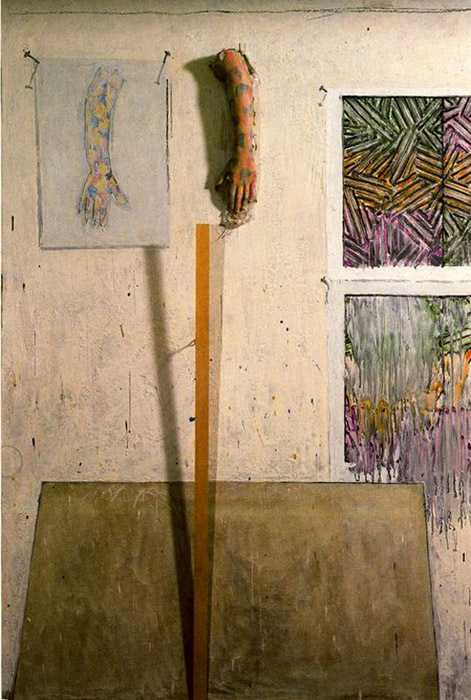 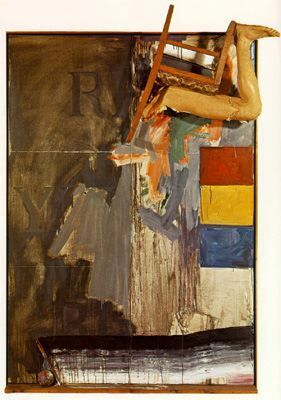 Johns studied briefly (1947–48) at the University of South Carolina at Columbia and then moved to New York City to pursue a career as an artist. 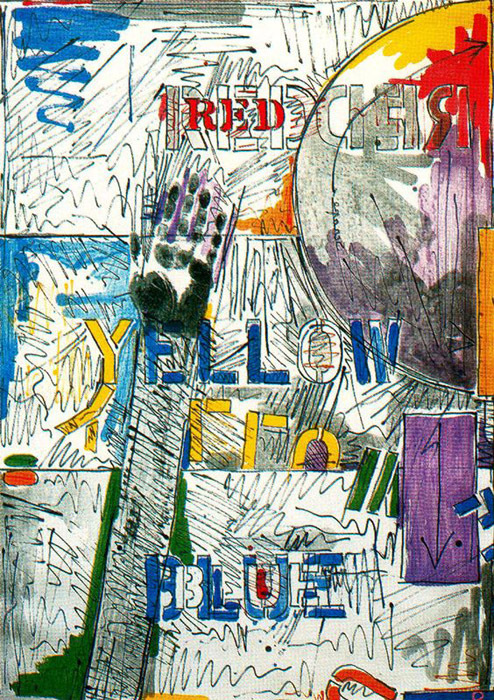 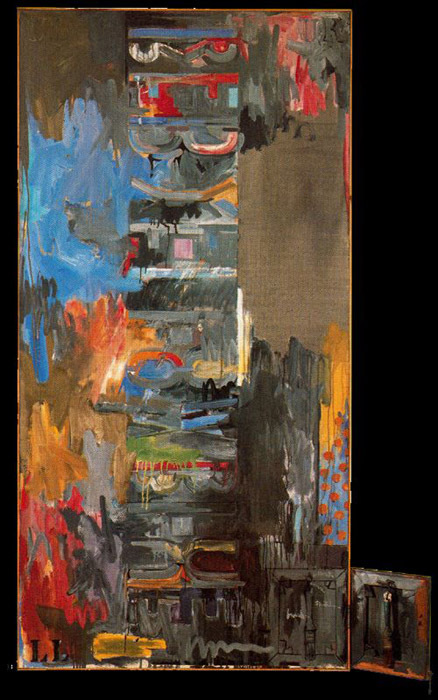 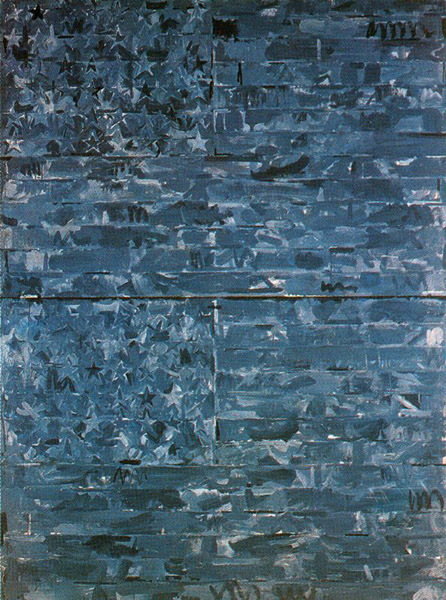 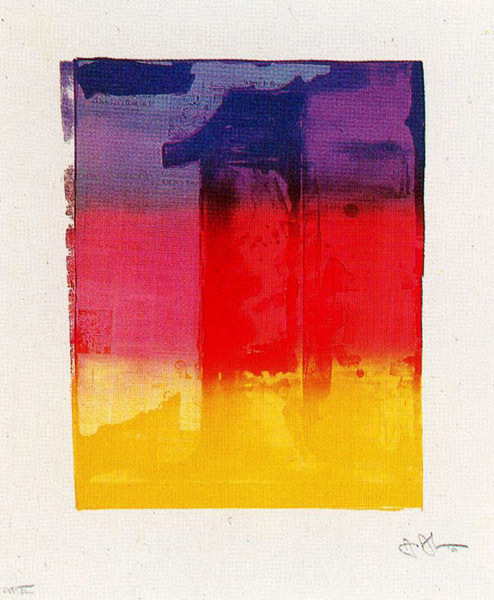 In1954 he became friends with Robert Rauschenberg, and that year he began his series of paintings of American flags. 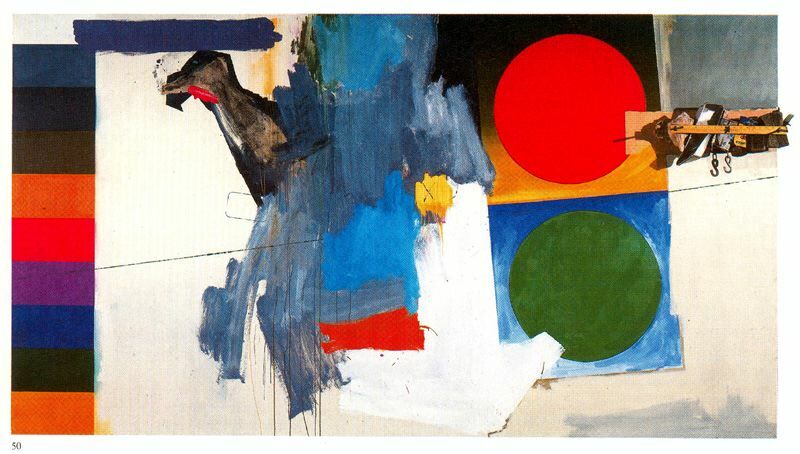 His first one-man show, held at the Leo Castelli Gallery in New York City in 1958, was a resounding success. 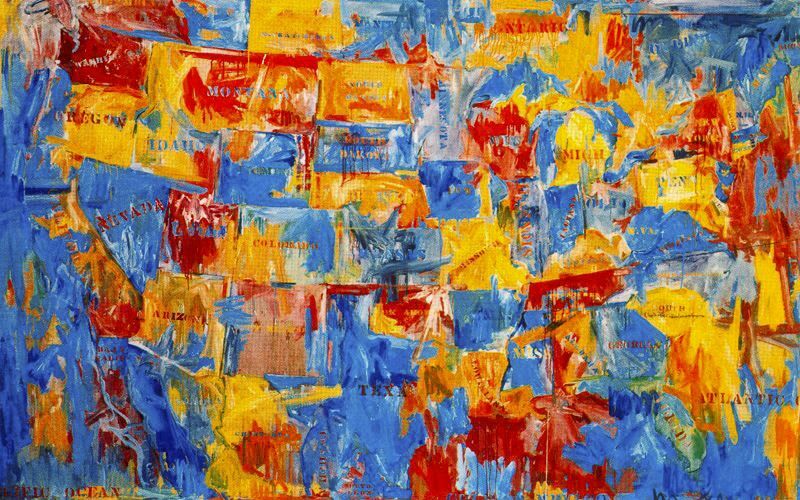 The paintings Johns went on to produce depict commonplace, two-dimensional subjects such as flags, targets, maps, numbers, and letters of the alphabet, all readily recognizable and painted in simple colours. 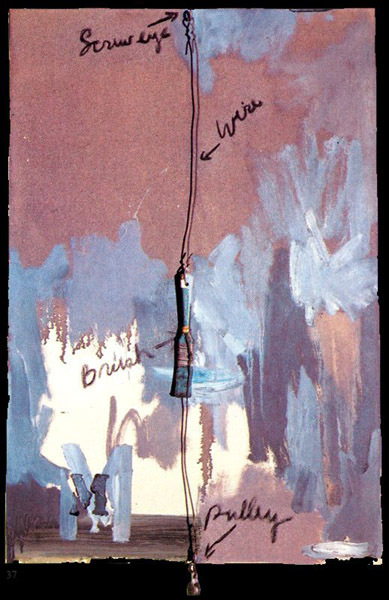 He was able to raise these objects to the level of icons through his paint handling and an extremely sensitive manipulation of surface texture, which he obtained by the encaustic technique, in which pigments are mixed with hot liquid wax. 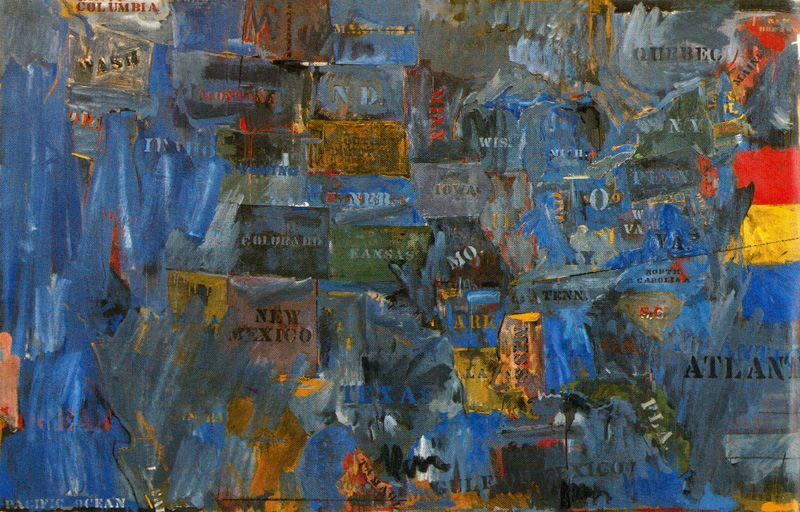 In their willful and ironic banality and their rejection of emotional expression, these early works were a radical departure from the Abstract Expressionist styles that dominated the American art scene at the time. 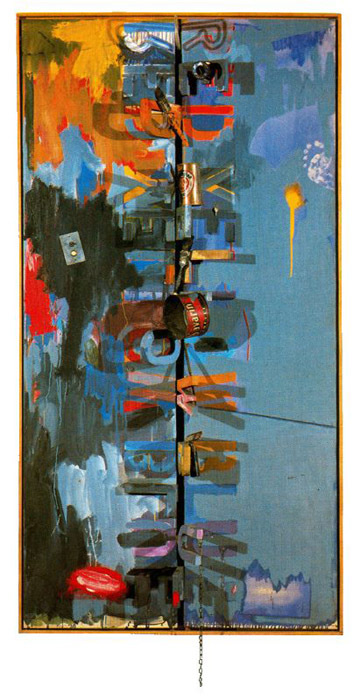 Johns's unabashed depiction of commonplace emblems and objects was emulated by many Pop Art artists; one of Johns's best-known works is a cast sculpture of two Ballantine Ale cans, “Painted Bronze” (1960). 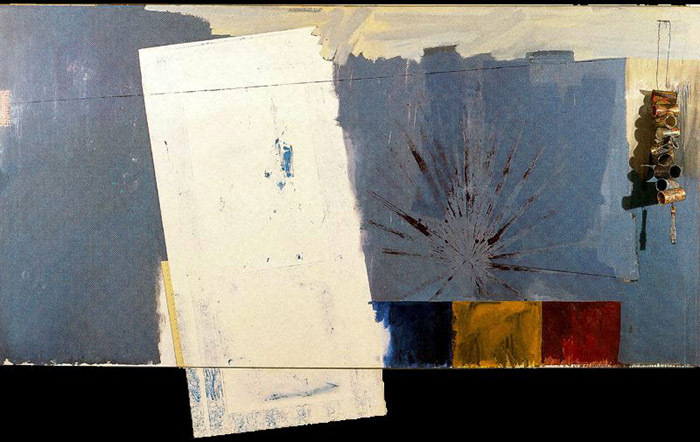 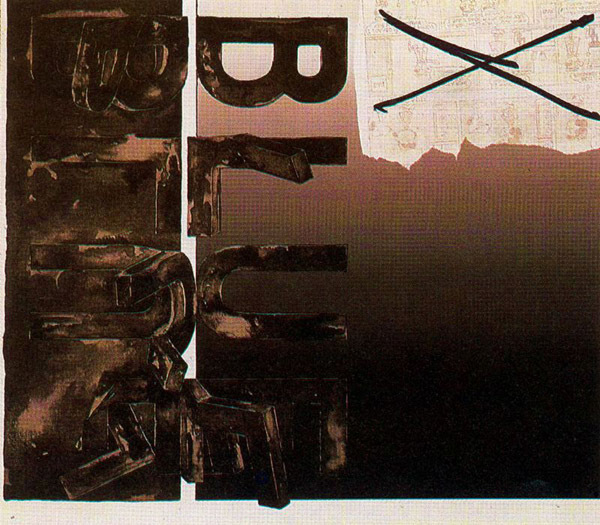 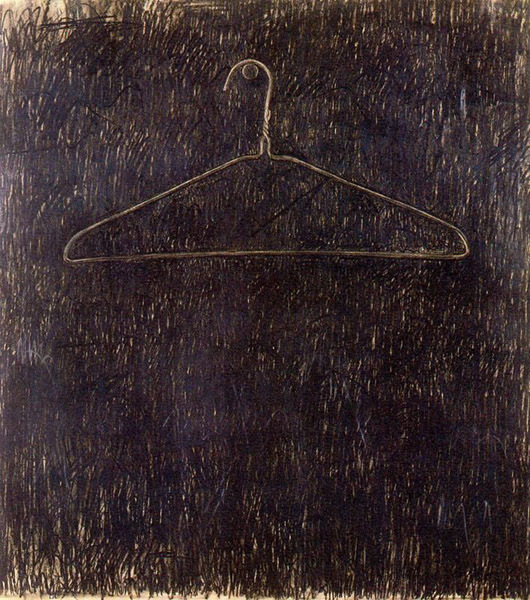 From 1961 Johns began to affix real objects to the surface of his canvases. 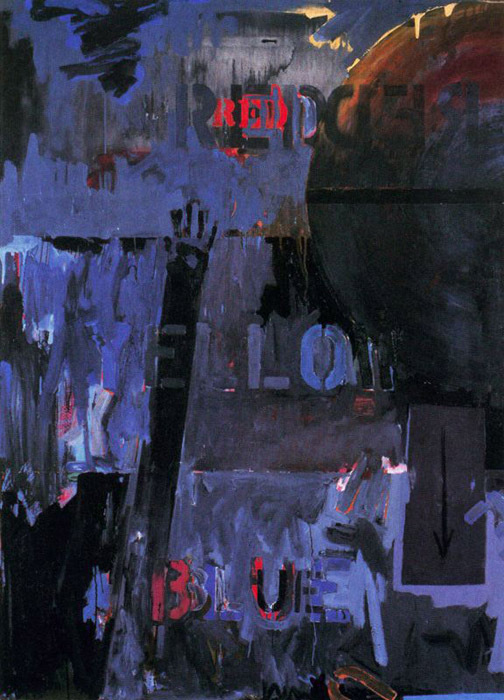 While continuing to paint numbers, flags, and labels through the early 1960s, he also began to incorporate more fluid brushstrokes and rawer paint textures in such works as “Diver” (1962). 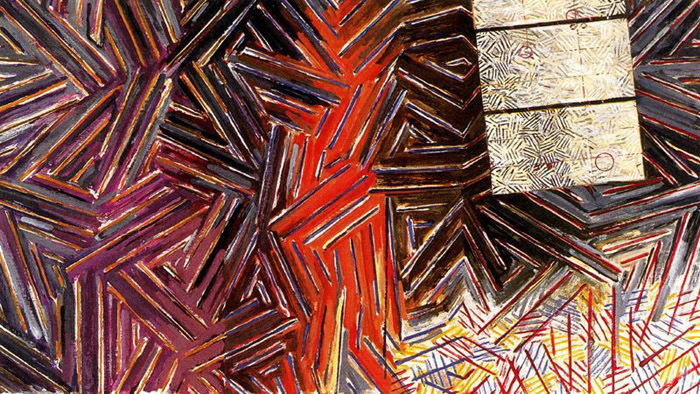 Changing his style in the 1970s, he produced near-monochrome paintings composed of clusters of parallel lines that he called “crosshatchings.” The paintings he did in the 1980s contain both figural elements and autobiographical references.